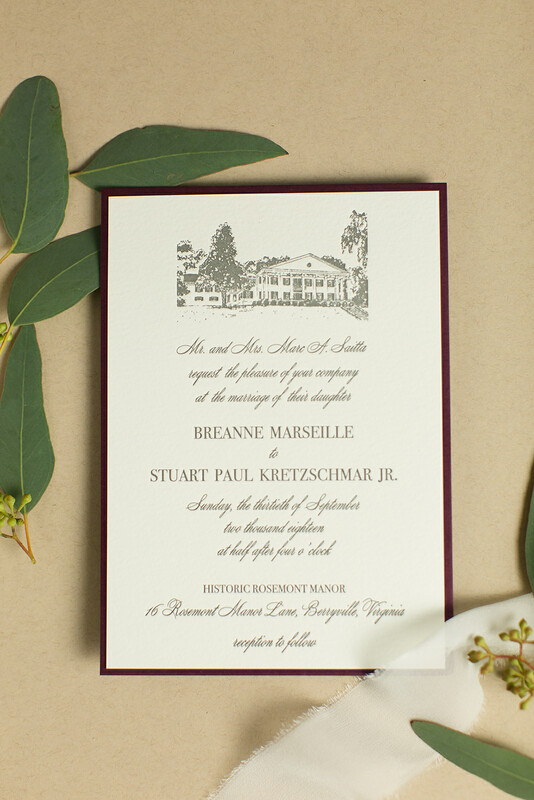 I LOVED creating a wedding invitation for Breanne & Stuart that reflected the beauty of their venue. 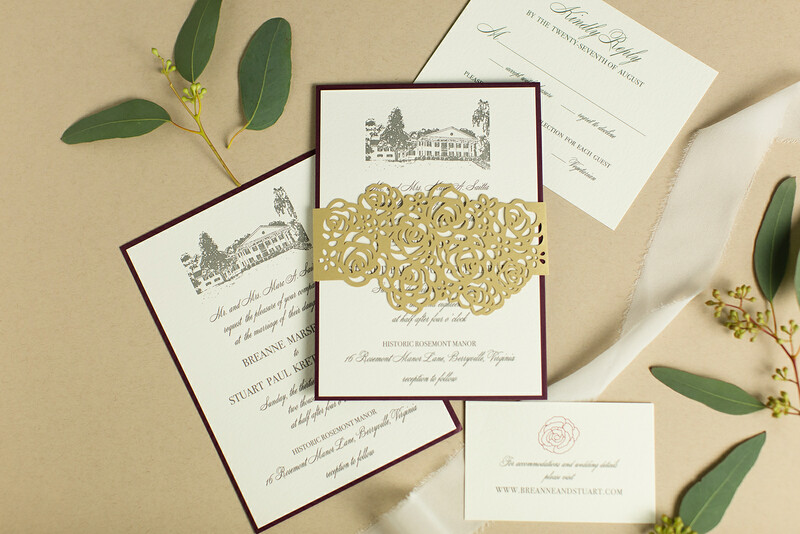 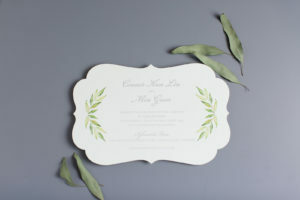 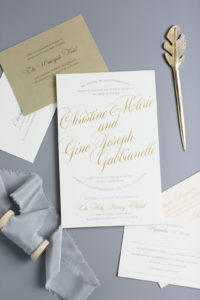 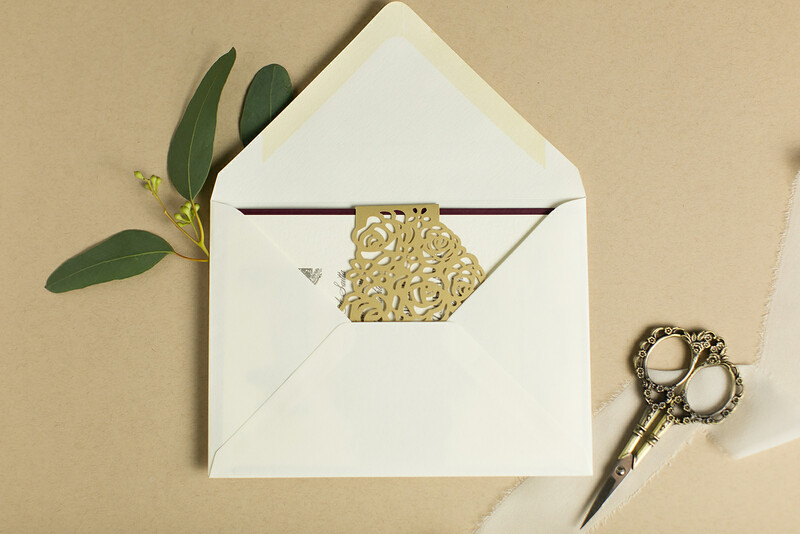 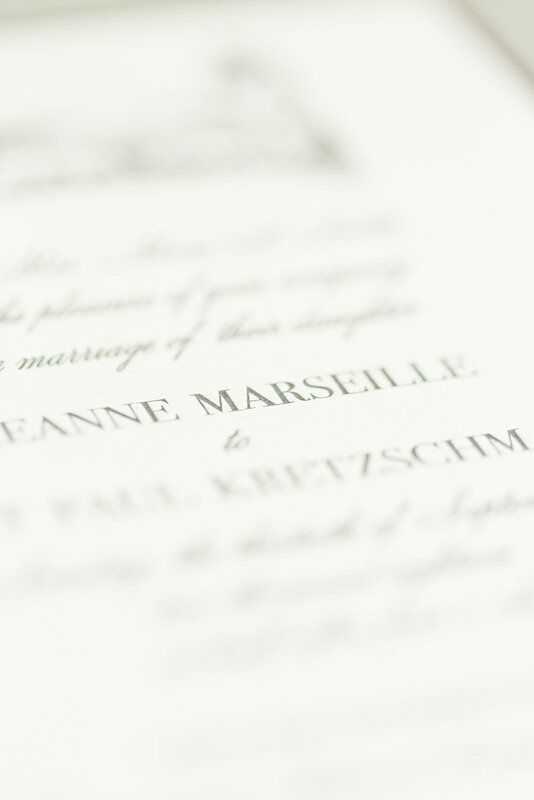 We were able to use artwork of Historic Rosemont Manor as the focal point of this pretty letterpress invitation. 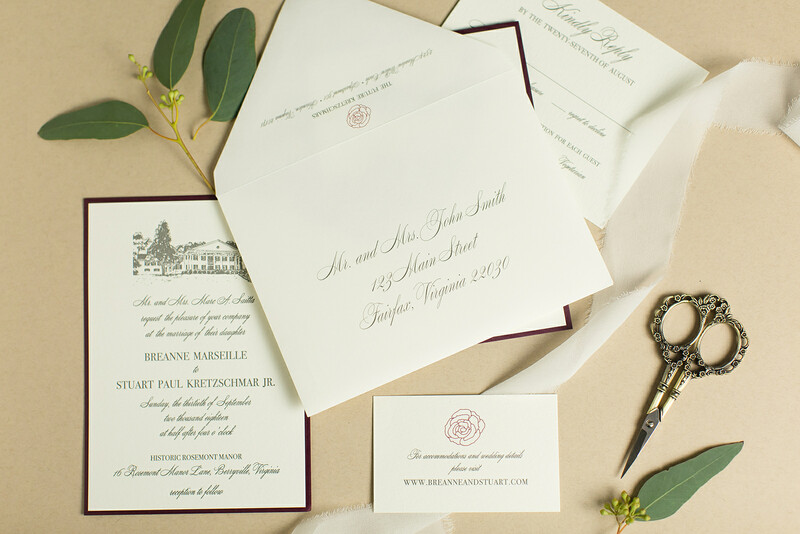 We layered the letterpressed piece to a wine colored backing layer. 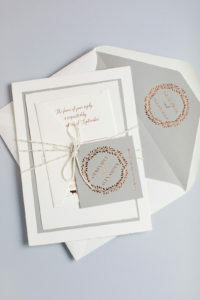 The finishing touch was a lasercut band of roses that wrapped around the invitation and inserts. 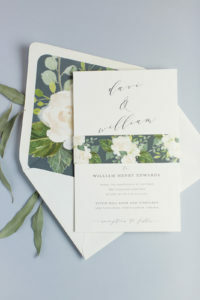 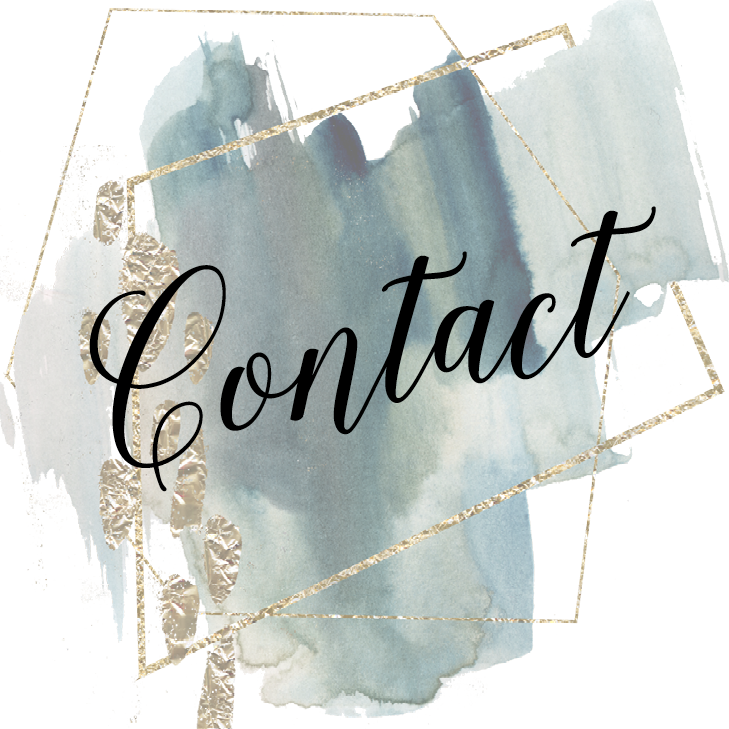 We carried that rose design onto their information insert as well as their envelope to help tie everything all together. 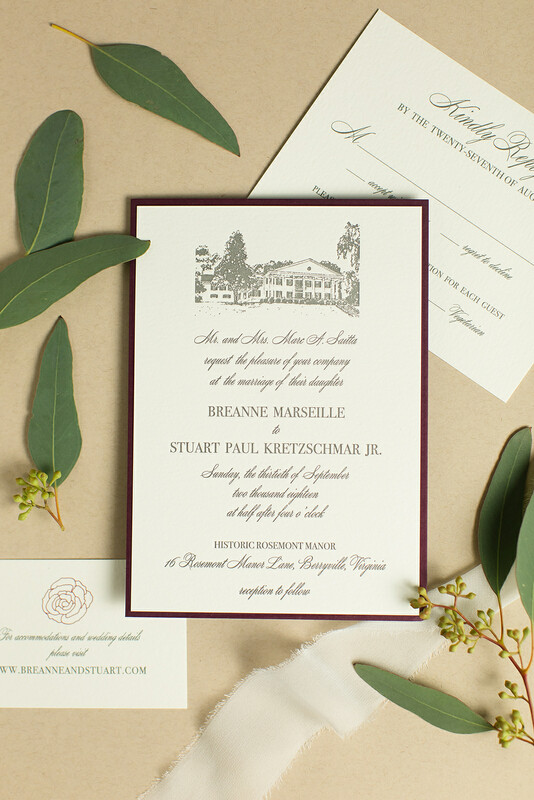 This was just the beginning of the fun we had with Breanne & Stuart’s big day — their wedding day stationery to fit a storybook theme was absolutely wonderful and we’ll share that in a future post!